While starting a small business might be appealing, remember that lots of startups in Singapore fail. Who says yours would make the cut? Nothing beats the security of a job especially if it won’t affect your class routine during the week. Being an F&B is most alluring to a lot of students since they can eat and drink at the expense of their employers in addition to the financial rewards that come with such. Also, you don’t need any certification to apply which makes it a reasonable option for students hunting for part-time jobs. The hourly remuneration for most F&B service staff openings is within S$6 – S$9. Unlike many of the part-time weekend jobs available, the job description of a receptionist isn’t as demanding. In fact, while acting as a receptionist, there are times when you have a lot of spare time on your hands to improve on your studies. And the pay isn’t bad. With hourly rates ranging from S$7 – S$10, you could earn a decent wage over the weekend. 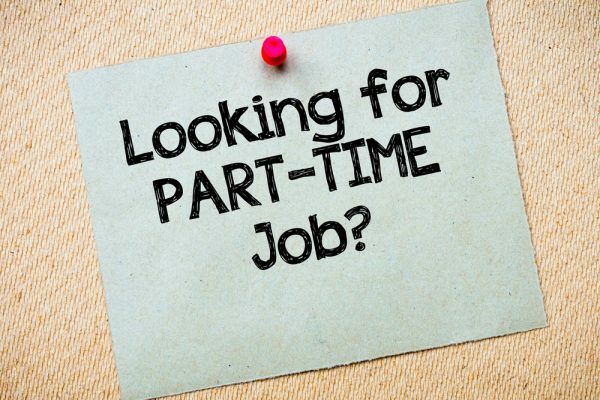 Students looking for part-time weekend jobs would find gigs of this kind interesting since they only require their input for a short period of time – a couple of days usually weekends. While the hourly rate varies between S$7 and S$10, you could earn commissions from sales made depending on the outfit you are attached to. With a telemarketing job, you can get pliable hours for your school runs. The hourly rate of S$8 – S$10 is decent for students looking to make some income on the side. Jobs in this category pay an hourly rate as low as S$6.5; though you can find some with S$8/hour remuneration. Clinics are always on the lookout for people including students that would help with registering patients, running errands and overseeing the scheduling of appointments with a doctor. With an hourly rate of S$8, it is a good deal if you don’t mind spending your weekend in a clinic. The Singapore Tourism Board (STB) annual report suggests that more international visitors are expected in the Southeast Asian country this year. And in getting around, these august visitors would need local guides. In Singapore, there are several platforms that bridge the gap between locals with in-depth knowledge about the country and tourists. Also, you don’t need any previous experience to become a guide. The flexibility of work hours makes this a great option for students looking to exploit their weekends. ToursByLocals is a good place to start. While not everyone can drive effortlessly and possess the license to do so, it’s a good skill to have. For students that are capable of driving and have the relevant documents to back this up, they can handle deliveries during the weekend for businesses and households that need their service.